Need to have your car seat checked for safety? 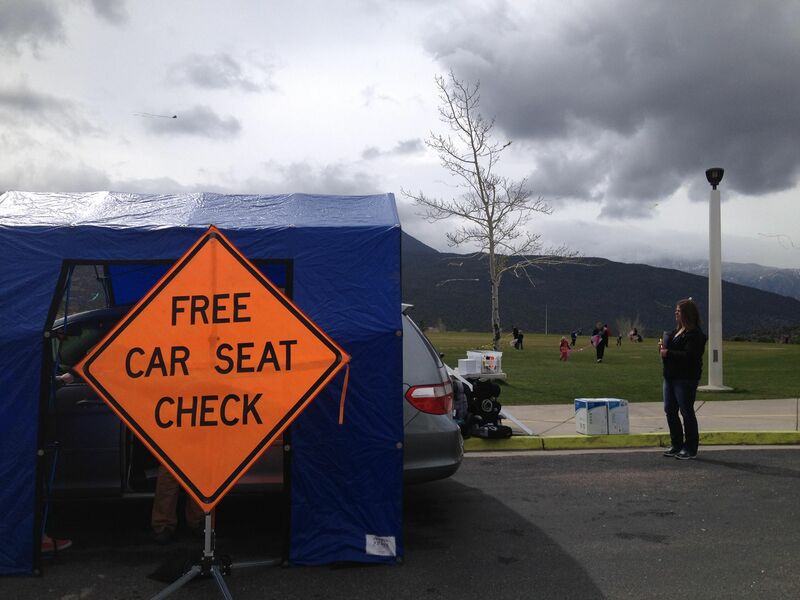 See the list of Utah’s Car Seat Fitting Stations. 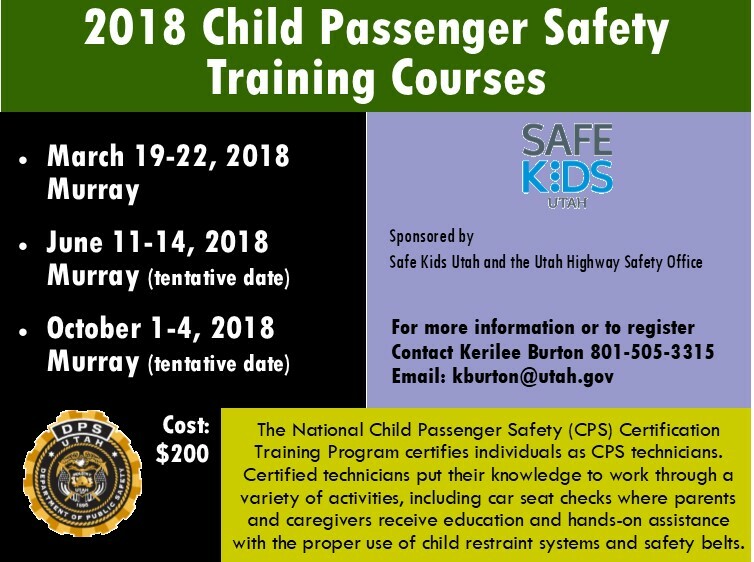 Join thousands of other nationally certified Child Passenger Safety (CPS) Technicians help parents and caregivers properly secure their children in the correct restraint with hands-on help or quality presentations. Request course registration at www.surveymonkey.com/r/CPSregistration. Courses tend to fill quickly and filling out the registration request does not necessarily guarantee your registration in this course. Continuing education credit can be provided for such professional organizations as Emergency Nurses and Certified Health Education Specialists (CHES) through this training. This course includes hands-on and written testing to obtain National Certification. Upon completion of this training a person is certified for two years and then re-certification is required. 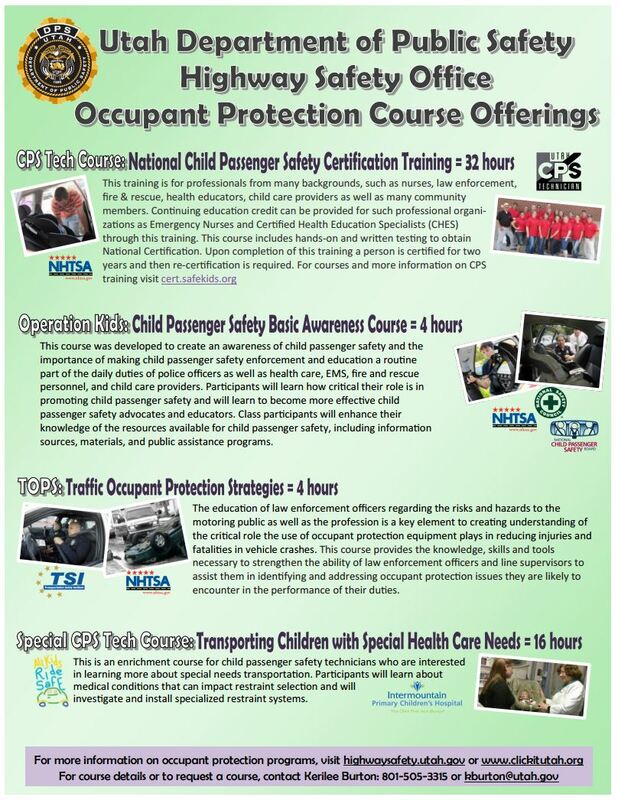 Why become a child passenger safety technician? Click here to find out! Click the image to download a printable version.